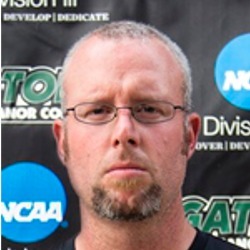 Coach Dan Ford-Hunt comes to Tufts University from Daniel Webster College in Nashua, NH. DWC won their 3rd NECC Conference Title in a row in the 2016 season and his Goalkeeper was named GK of the NECC Tournament and ALL-NECC. Prior to his hire at DWC , Coach Dan was the Men’s First Assistant & Women’s GK Coach at Pine Manor College in Chestnut Hill, MA from 2013-2015. During his tenure at PMC, Coach Dan had 2 All-Conf GK’s (Women’s in 2014, Men’s in 2015), his Women’s GK’s rated in the Top 30 in Division III in Saves and Save % (2014 & 2015), and his Men‘s GK ranked in the Top 50 in Shutouts (2015).